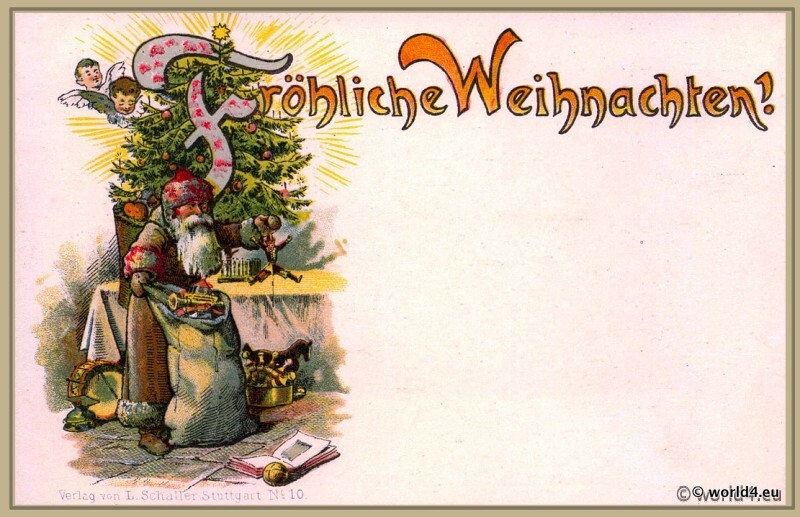 Home » Christmas » Vintage German christmas cards illustration 1910s. Santa Claus with decorated Christmas tree and a sack full of presents. Next PostChristmas crib nativity scene. Diorama Bavaria 2011.